Defense is one of the most essential components in defeating your opponent in a game like Pocket Tanks. Having a strong defensive strategy is equal to 50% of the victory. In relation to that, we have compiled some useful tips below that will help you in fortifying your side of the battlefield. So, ready your engine, adjust your angle, check your arsenal, and get ready to boost your defensive strategy. The first Pocket Tanks defense strategy on our list is called “Corner Retreat” which involves moving your tank to the very edge of the map. This defensive strategy is commonly used by veteran players to minimize the devastating effect caused by overpowered shots and proximity weapons. Examples of such items include Super Star, Beehive, and Cluster Bombs among others. The next strategy in our list is “Setting Up the Terrain” which is considered to be one of the best defensive maneuvers in Pocket Tanks and probably the easiest to execute. At the start of each game, players can simply choose the terrain of the battlefield. New Pocket Tanks players are highly advised to choose flats over valleys while veteran players can choose hills and mountains as a form of barrier. The last is one of the most important defense strategies that players can apply in Pocket Tanks. Camouflaging, as the method is called, is a deceptive form of strategy by utilizing the weapon called Dirt Slinger. With this method, players will be able to conceal their tanks from the enemy, which in turn will provide them with the opportunity to make unexpected attacks. One downside to this method, however, is the possibility of getting yourself trapped on a dirtball, which will result in self-inflicted damage to the player’s tank. 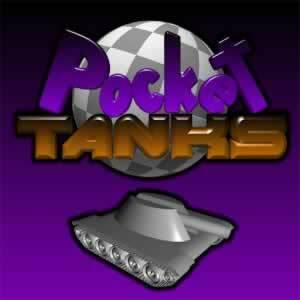 Learn more about Pocket Tanks in the FAQ page. Want to jump in the fun? Download Pocket Tanks today!